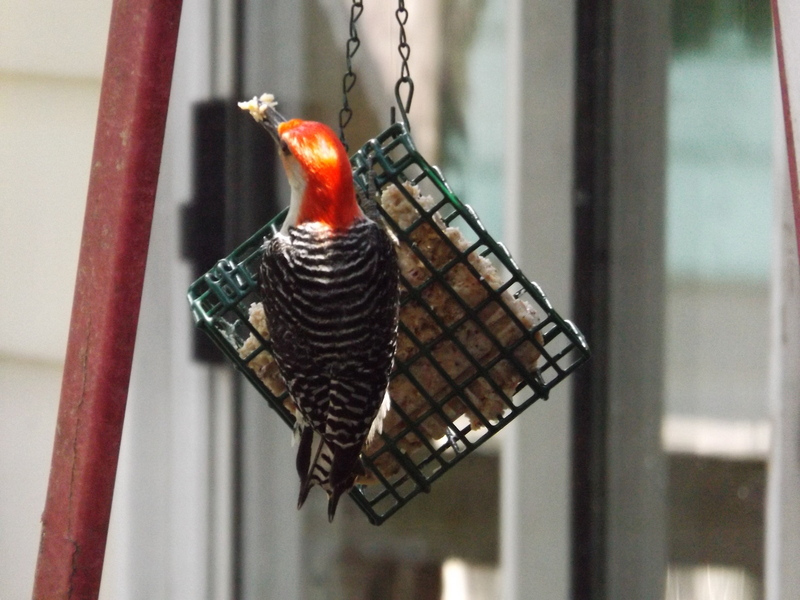 This Red Bellied Woodpecker is so hard to photograph. I am so happy to finally get a decent picture. 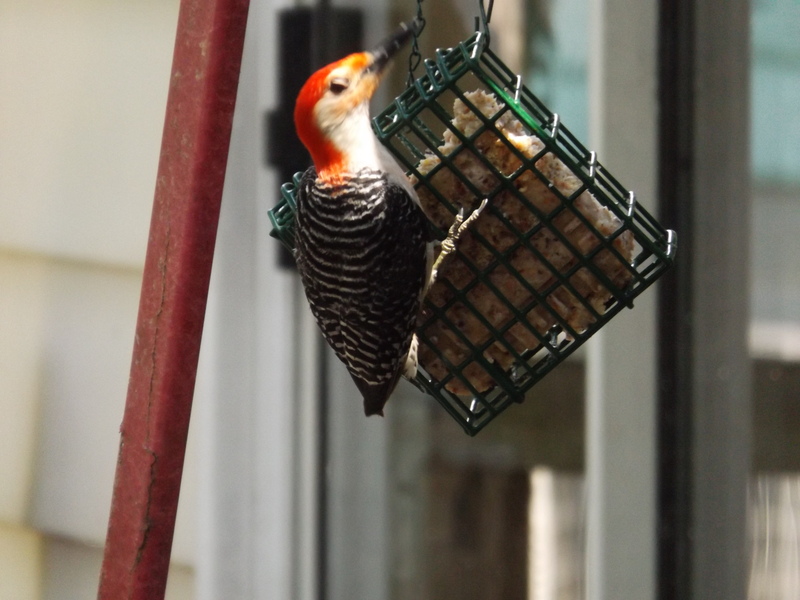 The blinds on the door were only open enough to see the feeder. I was sitting about twenty-five feet away. This is why I bought a new camera. This entry was posted on June 25, 2014 at 6:48 pm and is filed under Stuff. You can follow any responses to this entry through the RSS 2.0 feed. Both comments and pings are currently closed.